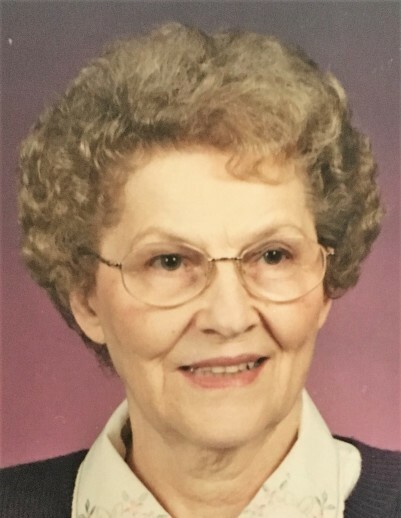 Mazetta M. Harris Metcalfe, 94, of Monroe, IN passed away Tuesday, January 29, 2019 at Visiting Nurse and Hospice Home in Fort Wayne. Mazetta was born on November 9, 1924 in Monroeville, IN to the late Leroy C. and Mable D. (Sprague) Hawkins. On October 18, 1958, she married her first husband, Bernard Harris; he preceded her in death. On November 17, 1984, she married Herbert Metcalfe; he also preceded her in death. Mazetta recently attended Cornerstone Community Church and was a lifetime member of the Nazarene Church. She was a homemaker. Mazetta is survived by her son, Rex (Lisa) Harris of West Chester, OH; 4 step sons, Philip Metcalfe of Phoenixville, PA, Nelson Metcalfe of Middletown, IN, Wayne Metcalfe and Stephen Metcalfe both of Springport, IN; a sister Mary Alice (Amos) Bauman of Ft. Wayne; 19 step grandchildren; several step great grandchildren and step great great grandchildren. She was preceded in death by 4 step sons, Ron, Tom, Mike and Bob Harris; 5 brothers and 2 sisters. Funeral service will be at 1:00 p.m. Saturday, February 2, 2019 at Haggard-Sefton-Hirschy & Zelt Funeral Home, with calling prior to service from 11:00-1:00 p.m. Officiating will be Pastor Kenneth Hogg. Burial will be in Decatur Cemetery. Memorials are to Cornerstone Community Church or Nazarene Compassionate Ministries.